It’s almost October which means our second month of Classic Films will be starting. If you haven’t seen these on the big screen yet, now’s the time! 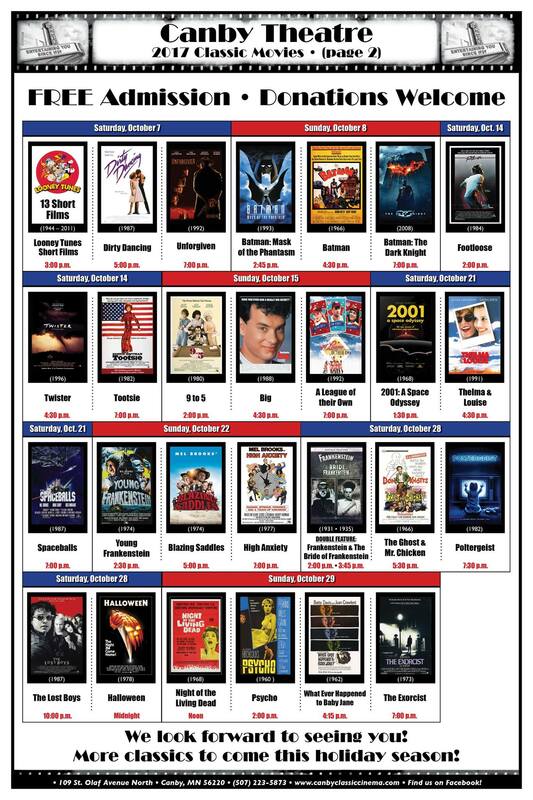 Take a break from school, work, and harvest and come see a classic movie at the Canby Classic Cinema! Check here our our FaceBook page for the full schedule.